Jan. 17, 2013 8:00 a.m.
Miss Irene Mikeljohn came to teach at Porto Bello Jr. School in the fall of 1942 when she was only 17 years old. Porto Bello Jr. School was one of the many one-room schools which provided the education of the majority of students in western Canada for generations until after World War II. It was built in 1914 and closed in 1953 when its students were bused to the consolidated Pipestone School. However, by the end of the 1930s Porto Bello Jr. School was not typical. Unlike most one-room schools, it served only Grades One to Six, with an exceptionally high enrolment of 54 students in 1939 when John A. MacDonald was one of seven pupils in Grade One. Grades Seven to Eleven attended the Porto Bello High School located a couple miles or so away. 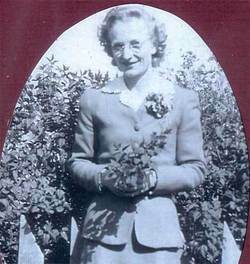 Miss Mikeljohn left Porto Bello Jr. School to take her teacher training, then taught at Daysland, Clyde and Nanton. She married fellow teacher, Bob McLeod, and the young couple moved to Penticton, B.C. and had two girls. After Bob was killed in an automobile accident, she continued to raise her girls and put them through school. In 2007, she moved with her daughter to Mill Bay on Vancouver Island. MacDonald had a most enjoyable visit with this unforgettable teacher in her home there in 2012. John A. MacDonald visiting with Irene McLeod (nee Mikeljohn) at her home at Mill Bay on Vancouver Island in May of 2012. MacDonald notes that there were no drugs or smoking in the high school back in his time, and that none of his schoolmates have been in jail. Instead, they went on to be doctors, teachers, engineers, a millionaire, and successful farmers. MacDonald himself moved into the work force after Grade Eight at Porto Bello High School, and went on to fully develop his mechanical skills and to work with children and youth, especially in the field of sports. Upon completion of mechanical schooling at the Chicago Vocational School, he was selected to respond to the main speakers, thus giving his first speech when he was 18. Next he worked in Millet where he coached a Fastball team for girls aged 14 to 17 and won it all. While in Millet he married Marjorie Rasmussen and got his auto mechanics license with 94% on the exam. Through the years, he completed an Engineers Course at the Chicago Vocational School, and challenged the licensing exams in heavy duty mechanics and millwright, getting 97% and 95% respectively. After working in a number of jobs and places, he settled in Calgary and for 10 years was Girls Hockey Director for the Calgary Girls Hockey Program at three age levels with 44 teams. Through the years he worked in management, was a partner in forming a company, earned his pilot's license and night flying endorsement and owned a plane, became a public speaker, travelled extensively, and worked with children. His wife passed away in 2011. His MLA in Calgary recognized his work with children by arranging for him to have dinner with the Queen when she was in Calgary in about 2007. John A. MacDonald is only one example of a very successful life following from an early education in a one-room rural school.